Dorm Co. Tip: Cover up the scratches on your dorm desk from previous college students while adding style to your dorm desk! Your dorm desk is going to be pretty bland and may have scratches from previous college students. You will want to cover some of those scratches while adding to your dorm room decor. When you are dorm room shopping for dorm essentials for your college desk, consider a dorm desk mat. Dorm desk mats provide a great work surface that will keep your college supplies steady as you work. 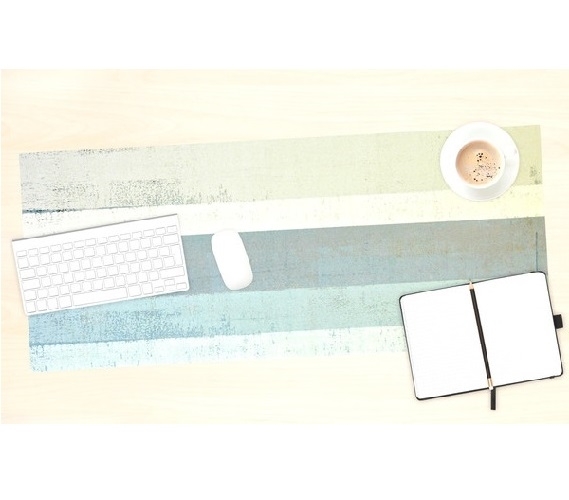 For a dorm desk mat that is functional for your work surface while adding to your dorm room decorations, look no further than our Sand Teal Brown Desk Mat! Our Sand Teal Brown Desk Mat features a light design that will look great against any dorm room decor you have planned. 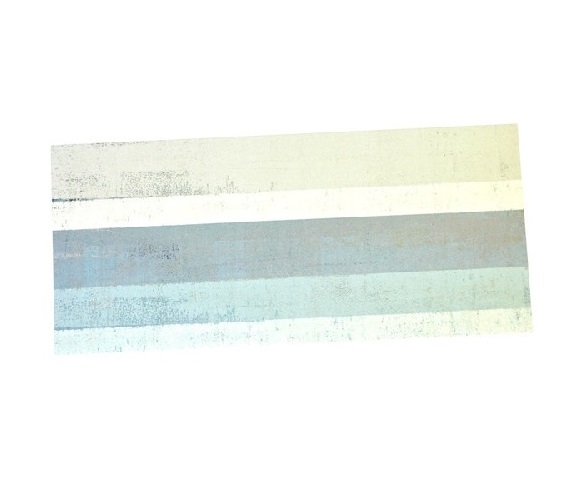 It features white, teal, and light brown stripes with a trendy distressed look that will turn that dorm desk from bland to stylish! This dorm essential is made of soft neoprene for a non-skid surface that will hold your college supplies steady. When you're in college, you're going to be doing a lot of studying. That means you're often going to be writing or typing with one hand while holding a college textbook open or flipping through pages with your other hand. This dorm necessity will help you keep your college notebook steady while you write so your notes are legible. After all, you're going to need them to study later so you want them to be as neat as possible! Our Sand Teal Brown Desk Mat will not indent, scratch, or stain so you will this dorm essential in your college supplies throughout your college life!